This post was written by Denise Lyons, the Deputy Director of Statewide Development at South Carolina State Library. She is a co-author of the Transforming Library Services for and with Teens Through Continuing Education (CE) report. At the 2016 American Library Association annual conference, two state library agency representatives, from Wisconsin and South Carolina, along with leadership from YALSA, began a conversation about how to build stronger alliances between the groups that serve teens in library organizations. There seemed to be a great deal of overlap with the work of groups at the local, state, and national levels. Yet, there was little collaboration among the different groups. It seemed reasonable to start considering how to change this by connecting with YALSA. The association already had a relationship with state library agency youth services consultants (“YS Con”). 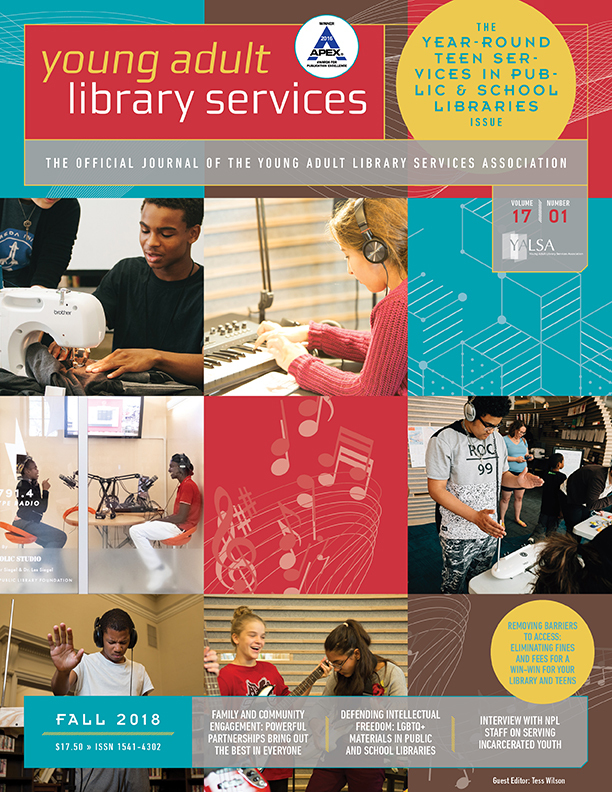 While each state library agency is organized and operates somewhat differently, there is often a person on staff who serves as the youth services (YS) consultant, the one person at the library agency who is the state’s coordinator of children’s and teen services. Many of these positions are part of the Library Development Consulting Department of the state library agency, and most are responsible for providing youth services continuing education opportunities and organizing statewide initiatives such as summer reading and learning programs. Over the past year, YALSA and the Chief Officers of State Library Agencies (COSLA) worked together to research the continuing education (CE) needs of public library staff. That work (funded by the Institute of Museum and Library Services) led to a report that is now available in draft form. 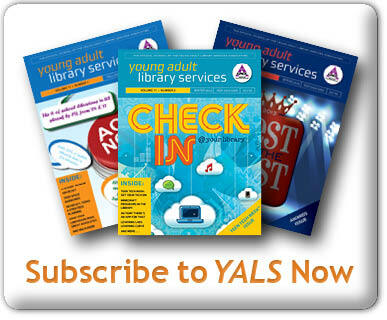 YALSA and COSLA are seeking feedback from the library community on the content of the document. The skills and knowledge all library staff, not just staff with teen in their job title, need in order to serve adolescents successfully. Why having the skills are important within the context of the lives of teens today. The barriers and challenges in participating in high quality CE in the areas needed. The report also provides a series of recommendations for a variety of stakeholder groups. The feedback period is open through April 30. You can learn more about the project on the YALSA website. If you have any questions about the project, the draft report, and/or the feedback requested feel free to get in touch with Linda W. Braun the Project Manager for the Transforming Teen Services Through CE project. 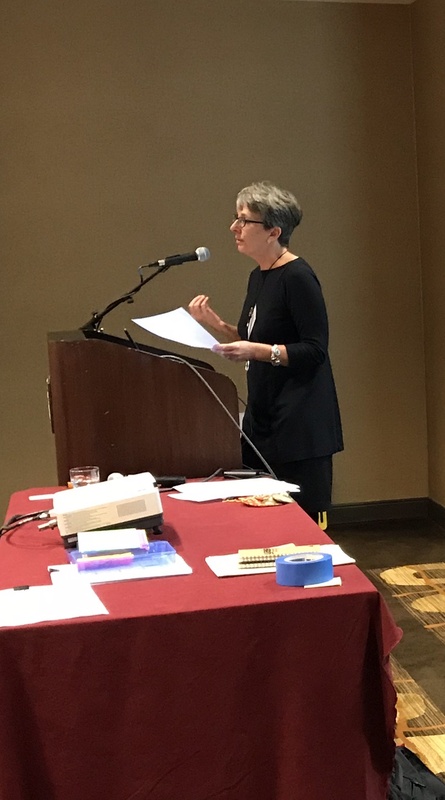 By Linda W Braun March 14, 2018 July 10, 2018 Continuous Learning, Cultural Competency and Responsiveness, YALSA Info. 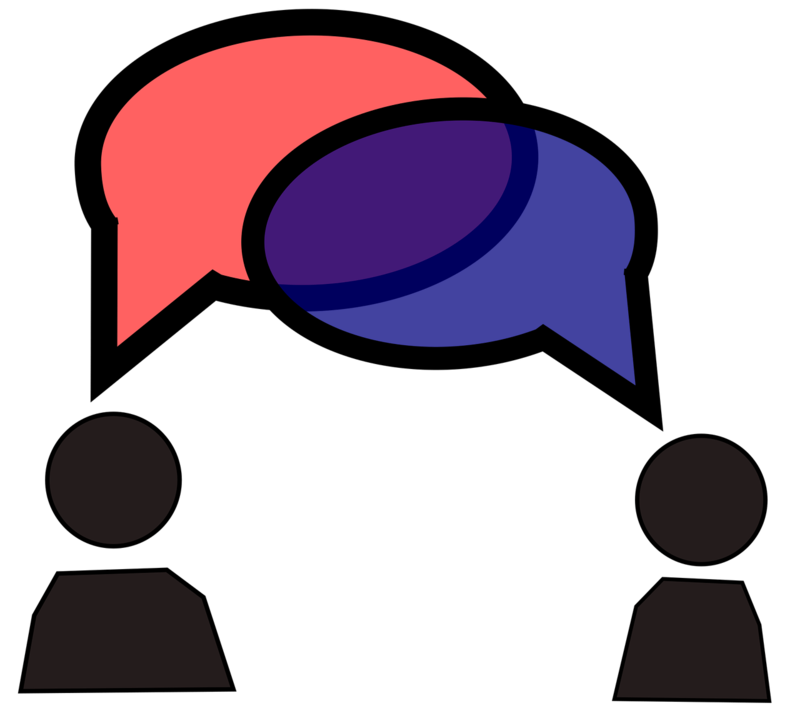 The chat transcript – where much of the conversation took place – is also available. 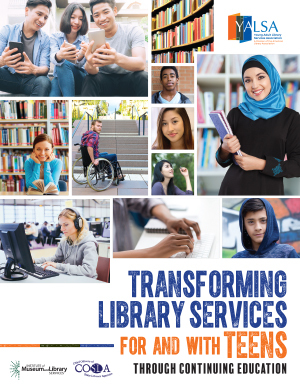 As a part of YALSA’s current IMLS funded project, Transforming Teen Services through CE, the association would like to invite you to a virtual town hall focusing on the continuing education needs of library staff in the areas of cultural competence and responsiveness. 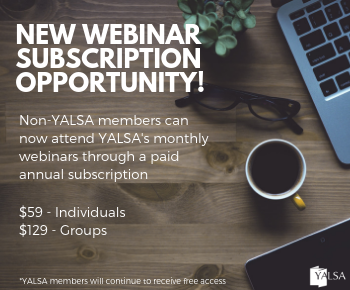 Learning from you on this topic will help guarantee that YALSA’s future work in this area realistically supports library staff needs. This week YALSA hosted two virtual town halls as a part of the association’s work, in partnership with COSLA, on the IMLS funded project Transforming Teen Services Through CE. The Town Halls focused on learning from library administrators and library staff about CE needs in their institutions. The sessions were recorded and you can access each of them below and on YALSA’s YouTube channel. 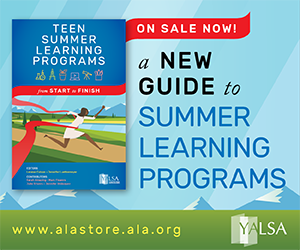 By Guest Blog November 21, 2017 July 10, 2018 Continuous Learning, YALSA Info. This post written by Carrie Sanders, Youth Services Coordinator, Maryland State Library. 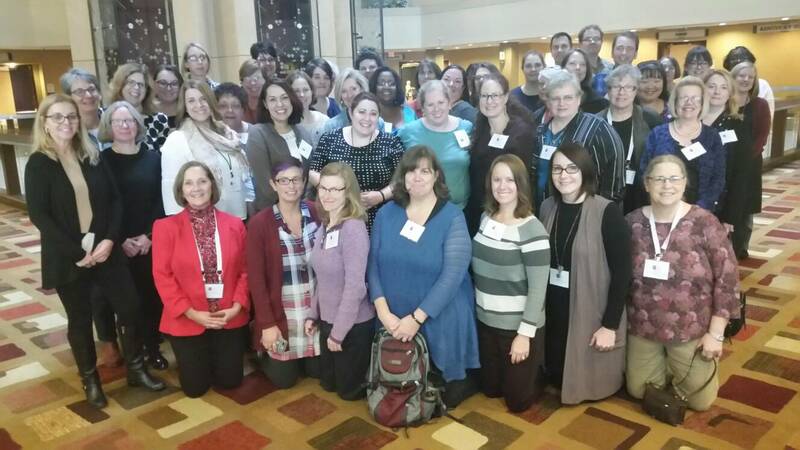 At the beginning of the month, I journeyed to Louisville, KY for the annual YALSA Symposium. I heard vibrant authors and teen services librarians discussing current literature written to meet the needs and interests of today’s teens, and I learned about serving teens with disabilities, social action programming, and strong teen volunteer programs. At the end of these very full days, my brain took a breather on Sunday afternoon, and then it went into full gear on Monday-Tuesday, November 6-7, during the YALSA National Forum. What was the purpose of this Forum? Under the theme “Transforming Teen Services Through Continuing Education”, YALSA and COSLA, through a grant funded by the Institute of Museum and Library Services (IMLS), gathered representatives from 45 states, along with YALSA Advisory Committee members and other facilitators, to align library teen services with current societal and learning trends of this age group. 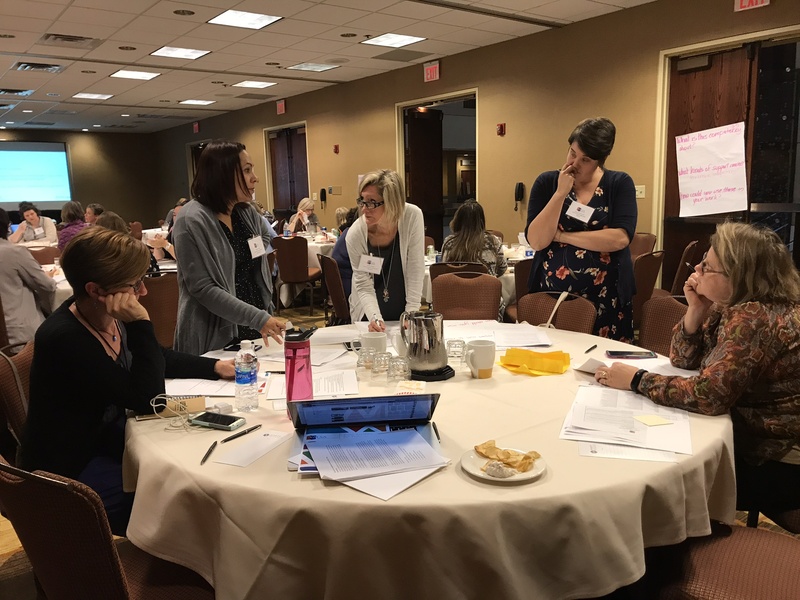 We gave equal attention to the “what and the how” of Continuing Education (CE) for library staff: what should today’s content be in our teen programming? — and how should this CE be delivered to library staff so that our public library programming and services, nationally, meet the identified emotional, social, and learning needs of today’s teens? Big questions for us to tackle in a day and a half! We listened to a variety of experienced colleagues with experiences and research to share; we looked at national trends and research about the social/emotional needs of teens and their learning styles; we discussed what we are doing in our states; and we asked questions throughout the Forum that bubbled up from our learning. 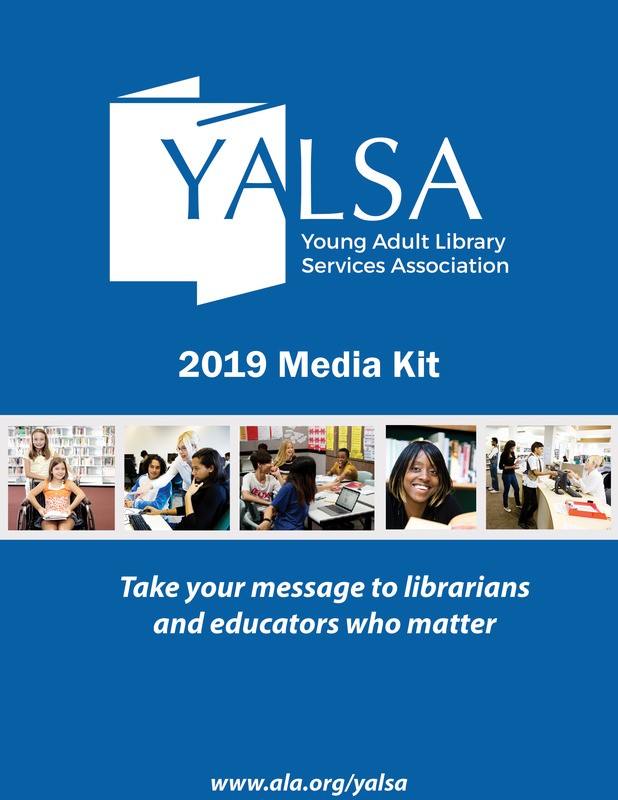 YALSA will take information gained at the meeting to continue developing a national agenda for supporting professional learning needs of library staff working with teens. And, the state representatives attending the Forum, will take back the findings and discussion from our time together and start implementing, through communications and trainings, some of the learnings from the event. Library services to teens need to be “Teen-centric” – not “library-centric.” Library staff need to put teens first; we need to reach ALL teens in our communities (not just the readers). Today, 48% of our total youth population are teens of color – our services need to reach the marginalized teens in our community. Our services should focus on the person or the process — not the “stuff” or the product. Amplify Teen voice. Library staff should involve teens in the development and implementation of their programs, and they should be the ones to identify social issues in the community. Involving teens in this way is not “giving them a voice” because they already have one. Rather, including them in the planning of teen programs centers their voice.